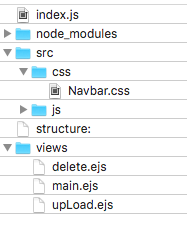 So for my midterm, I just make this thing work: I want to make a site which I can easily upload my JS canvas projects and easily add/delete everything. With a dynamic hosting page. The structure of the file is straightforward easy.